McLeod Home Building Centre in Spruce Grove only carries the most well-renowned and trusted window brands. It's excellent value for you all the way. McLeod's Windows, a sister company of McLeod Home Building Centre, is famous for our excellent service and superior-quality products. We also offer one of the most comprehensive warranties for our window installations. 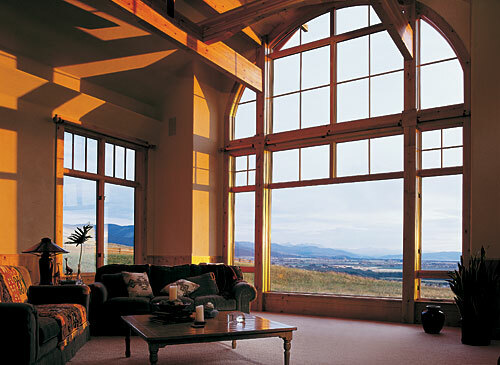 If you are looking for engineered windows that are both beautiful and functional, look no further than McLeod Windows. Why Choose Edmonton Windows from McLeod’s? A local manufacturer known for exceptional quality, McLeod Windows produces ENERGY STAR rated products that will keep your indoor environment comfortable and your energy bills down. Along with superior energy efficiency, you will enjoy windows in a range of styles that blend seamlessly with the existing architectural features of your home. Our window installations will add elegance and appeal to your home’s exterior and interior while enhancing your property value. The McLeod family has been in the building supplies business in the Edmonton area for the past century and has manufactured windows and doors for over 25 years. Always looking to the future, we recognized the many benefits of PVC construction at an early stage and became a local leader in durable, aesthetically appealing windows. We are proud to be a trusted name for windows in Edmonton and throughout Western Canada. Learn more about McLeod Windows and Kohltech today. We offer the flexibility you deserve with a range of options including frame colours, locking and operating hardware, glass and insulation. Our heavy-duty locking hardware is easy to use and provides a weather tight seal. Our windows are suitable for the extreme weather conditions of Western Canada and protect against heat loss and condensation. If you are looking for windows in Edmonton, turn to McLeod Windows for superior craftsmanship and lasting results. We are pleased to work with builders, renovators, contractors and homeowners.